Dr. Le is Professor of Medicine, and Chief of the Division of Nephrology. Her clinical practice focuses on the care of patients with hypertension and chronic kidney disease. She applies her knowledge and extensive research experience in renal physiology to her clinical practice. She has an active research program in mechanisms of hypertension and genetics of chronic kidney disease. Dr. Le is John J. Kuiper Distinguished Professor of Medicine. In October 2018, Dr. Le became Chief of the Division of Nephrology at the University of Rochester. She graduated from George Washington University with a major Chemistry and a minor in Philosophy, and received her MD from George Washington University School of Medicine where she graduated as valedictorian. Dr. Le undertook her Internal Medicine and Nephrology training at Duke University Medical Center. She was a faculty at Duke from July 2000 – June 2009, and faculty at the University of Virginia from July 2009 – September 2018. As a clinical investigator, she is dedicated to patient care as well as research. Her research has been funded by the NIH. She served on the study sections for the American Heart Association and the National Kidney Foundation, and was a regular member of the NIH Genetics of Health and Disease Study Section from 2012-2018. She is regular member for NIDDK Kidney, Urology, and Hematology (KUH) study section (2019 – 2025). 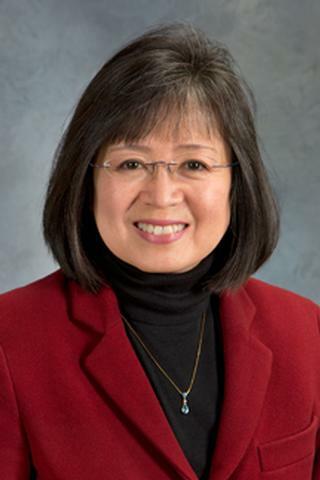 She has been serving as Associate Editor of the American Journal of Physiology – Renal Physiology (July 1, 2013 - June 30, 2020). Scientific Approach: My laboratory studies renal mechanisms of hypertension and genetic determinants of susceptibility to kidney disease progression. We use the mouse as a model system, and translate our findings in human cohorts. Collectrin (Tmem27) in hypertension and salt-sensitivity. The goal of this project is to define the physiological role of collectrin, Tmem27, a chaperone of amino acid transporters, in blood pressure homeostasis. We previously reported that collectrin, by regulating arginine uptake, regulates nitric oxide and superoxide balance. We will use a tissue-specific knockout approach to delineate the tissue-collectrin-nitric oxide synthase axis and renal mechanisms (tubular epithelial regulation versus renal blood flow) by which collectrin influences blood pressure and the adaptive response to high salt intake. In addition, using a translational approach, we will be the first to comprehensively examine the effect of genetic variants of collectrin on blood pressure in 4 different human populations. In the context of debates in the field of hypertension, our findings may be able to address the decades-old question whether vascular dysfunction in general, and specifically that in the kidney, is a prerequisite for salt sensitivity and/or hypertension. Role of GSTM1 deficiency in chronic kidney disease progression. Our work identified that glutathione-S-transferase mu-1 gene, Gstm1, is a candidate gene for renal vascular remodeling in a mouse model. The translational work in my laboratory from mouse to human identified that the common null allele of GSTM1 gene in humans is associated with accelerated kidney disease progression in the African American Study of Hypertension and Kidney Disease (AASK) Trial participants. We have further assessed the joint effects of GSTM1 and APOL1 in AASK, and found that the GSTM1 null allele and APOL1 high risk alleles have additive deleterious effect on the composite outcomes of decline in eGFR, dialysis, and death. A similar effect was observed in the Atherosclerosis Risk in Communities (ARIC) study in African Americans and European Americans. Using mouse models, our ongoing work seeks to identify the mechanisms by which deficiency of GSTM1 enzyme accelerates kidney disease, and how it may interact with other genetic factors and the environment. Furthermore, in pursuit of personalized and precision medicine, our goal is to determine factors that may mitigate kidney disease progression in GSTM1 deficient patients who are genetically most at risk. New directions: We have also become interested in the relationship between the type of vascular access and the development or progression of right heart dysfunction and pulmonary hypertension in hemodialysis patients. We are proposing a clinical study to examine this relationship. Plan is also underway to develop a mouse model to be able to address this phenomenon mechanistically.